P2E® is a multi-award winning organisation. We support and encourage our people to strive for excellence in delivery and are very proud to be recognised at both state and national levels by esteemed bench marking industry associations. August 2016 saw P2E’s Tony Boyd accept the AIPM PMAA award for Program/Project Director of the Year for his outstanding work as Program Manager on the Mobile Services Program for the Public Safety Business Agency (PSBA) since 2014. 2015 was another successful year for P2E and the Queensland Police Service (QPS). 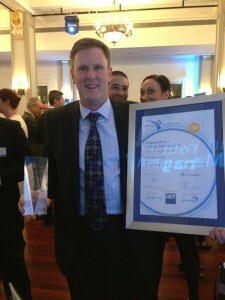 QPS were recognised for their project management achievements with the G20 Summit. P2E played a large role in this program of works by training over 100 Commissioned Officers and Senior Sergeants in PRINCE2 and Program Management Principles. QPS acknowledged P2E as one of their critical success factors. 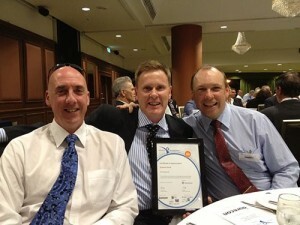 Congratulations to our friends and colleagues at QPS for their QLD, National and Asia Pacific win. Following his win at the state level, Todd Hunt was delighted to be awarded a National High Commendation in the 2014 Project Director of the Year category for his work on the second stage of the QPS Renewal Program. 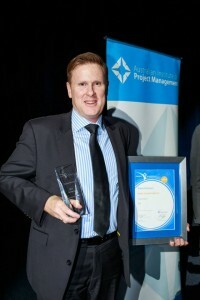 Todd Hunt (P2E Director of Client and Service Delivery) won Project Director of the Year at the 2014 Queensland AIPM Project Management Achievement Awards for his tireless work on the second stage of the QPS Renewal Program. 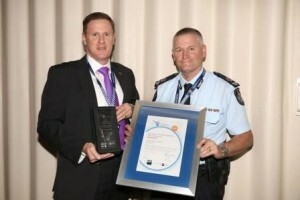 P2E working collaboratively with the Queensland Police Service received a High Commendation for the Organisation / Change Management category specific to the second stage of the QPS Renewal Program at the 2014 AIPM Project Management Achievement Awards. P2E were the proud winners of the Organisational / Change Management category for our work on the Queensland Police Service (QPS) Renewal Program at the Australian Institute of Project Management (AIPM) Queensland Project Management Achievement Awards in August 2013. 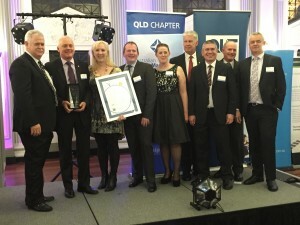 P2E proudly accepted the top award of Project of the Year for the Queensland Police Service (QPS) Renewal Program at the Australian Institute of Project Management (AIPM) Queensland Project Management Achievement Awards in August 2013. 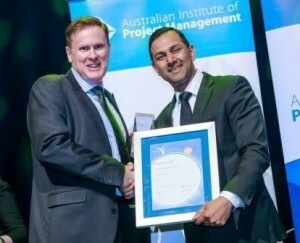 After winning the state level award, P2E and the QPS Renewal Program were pitted against some outstanding organisations from across the country at the National AIPM Project Management Achievement Awards in October 2013. Whilst we did not take home the top prize at the National awards, we were extremely proud to be a finalist at this prestigious event. Following the QLD awards, P2E and the QPS Renewal Program once again found ourselves competing with some of the country’s best Program Management organisations at the National AIPM Project Management Achievement Awards in October 2013. This is no insignificant feat, as the competition was tough and P2E were honored to be finalist in this category. Our focus on continuous improvement drives us to deliver quality outcomes for your organisation every time.